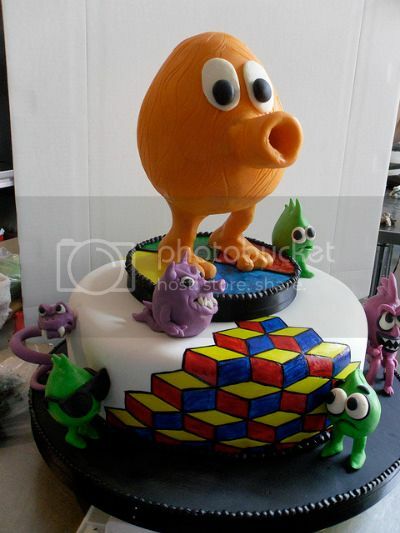 I’m kind of stunned by how well this Q*Bert cake (by Karen at Highland Bakery) came together. It’s striking, whimsical, true to the source material, and features adorable little goblins. Basically, everything you could want in a cake. But maybe I would have been over-reacting. Maybe.